This review was originally written for North West End and is available here. 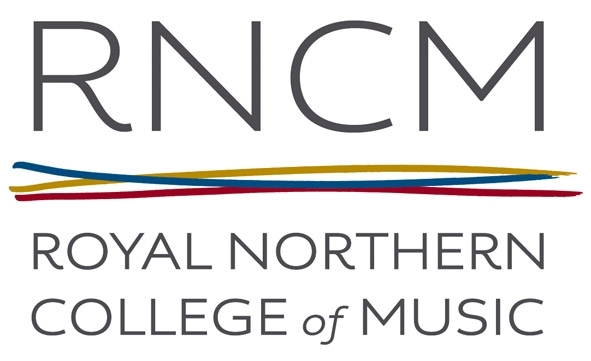 The Brand New Orchestra is a thrice-yearly showcase event at the RNCM, where the student composers are given the chance to have their work performed by their colleagues on the instrumental side. 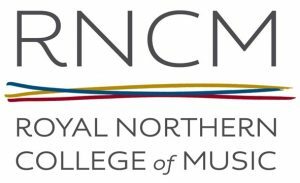 Given the huge number of talented musicians studying at the RNCM, the forces available to the composers are immense, and they make full use of them, in the generous space of the RNCM’s main hall. The event was free, and very informal, which was fine, but to be so laid-back as to not even bother with a programme made it a reviewer’s nightmare. With so many family and friends among the audience, a programme would have been a great souvenir. One side of A4 is all it takes! Instead, we had a spoken introduction to the evening by someone – an academic, I assume, but he didn’t say who he was – who told us that there would be nine pieces, each to be introduced by the composer. So before each piece the composer stepped up to the microphone and did just that. Naturally, some of them were quite nervous, and several were clearly rather diffident about speaking in public – which meant that their names were not always easy to catch, especially as some of them had rather exotic monikers. This review will therefore break the first commandment of reviewing by not getting all the names, and probably getting some wrong. My kingdom for a programme! The pieces premiered at this warm and upbeat event were very varied, suggesting that the future of classical music composition in this country is in safe hands. In an eclectic programme of short orchestral pieces, played by a very large band, the audience was treated to a really wide-ranging array of sounds, rehearsed, if I understood our MC correctly, in just two days, which made the ensuing excellence all the more remarkable. We started with a piece by (probably) Phillipos, who was interested in translating electronic soundscapes into orchestral mode, using strings. The piece, which had a seascape theme was dreamily evocative at times, though some passages sounded like they might have accompanied Janet Lee in the shower. A student who introduced himself as Peter from Italy presented us with a remarkably cinematic piece, which began with the percussionists whirling tubes (they’re called bloogle resonators) around their heads to produce an eerily unworldly noise, taken up by the violins, and eventually developing into a big orchestral sound. Lushly romantic at times, and stridently brassy at others, it faded to almost silence as the whirly tubes, defying health and safety regulations, took over again. The third piece, possibly by someone called Charlotte, was quite different in tone from anything else we heard. The composer is working on a musical version of one of Terry Pratchett’s novels, and presented four songs from it. This was probably the most mainstream item of the night. I was reminded of Sondheim, and then of Lloyd Webber. The female singers were excellent, and convincingly in character. Don’t be surprised to see this hit the West End in the not-too-distant future. Alex Simcox was one of two composers who presented a piece based on a poem. In his case the poem was by a colleague, and he was really inspired by just the final line, which gave him his title ‘Loops of Letting Go.’ This used the full forces of the orchestra, as well as the RNCM organ. The dense texture of the piece was relieved by sparkly lighter passages with woodwind and xylophone prominent. The other poetically-inspired piece was by William Marshall, and his starting point was Yeats’s well-known ‘The Second Coming’ whose first line gave him his title, ‘Turning in the Widening Gyre.’ The mysterious nature of the poem was evoked well in a piece that was slow and rather mesmeric, punctuated by the ominous tolling of the bell. Daniel Ryan’s piece ‘Amygdala’ is named after the part of the brain that looks after emotions, survival instincts, and memory. It explores the subconscious through a series of often quite unsettling and heavily percussive passages, which then modulate into more sprightly, jaunty sounds. In contrast, Denis introduced his piece ‘Paris 13.11.15’ as his personal response to the terrorist attacks. This was adapted from a string quartet, and this time used the massed ranks of the strings to evoke the sadness of the theme. This was delicate, atmospheric and meditative, creating exquisitely the devastation wrought on that day. Nevada (I think) offered a bright, lively springtime piece, which wore its heart on its sleeve. ‘A New Spring’ was quite traditional, and none the worse for that, making subtle use of the orchestral palate to suggest the regenerative powers of the season. We finished with a remarkable piece which combined the full orchestra with the choir of the Fo Guang Shan Buddhist temple. Entitled ‘Pāramitā’ from the Sanskrit, and meaning the state of perfection or completeness that Buddhists aim for in their journey of spiritual development, the piece used brass, woodwind, strings and percussion to create a wall of sound verging on cacophony before the voices of the fifteen-strong choir broke in, quietly at first, and then increasing in volume until they had dominated the orchestra, which fell silent at the end, leaving us with just the chants of the choir. It was an unusual and memorable end to an excellent evening of new music by some very talented composers and players. But please let’s have a programme next time! Brand New Orchestra by Dr Rob Spence is licensed under a Creative Commons Attribution-ShareAlike 4.0 International License.